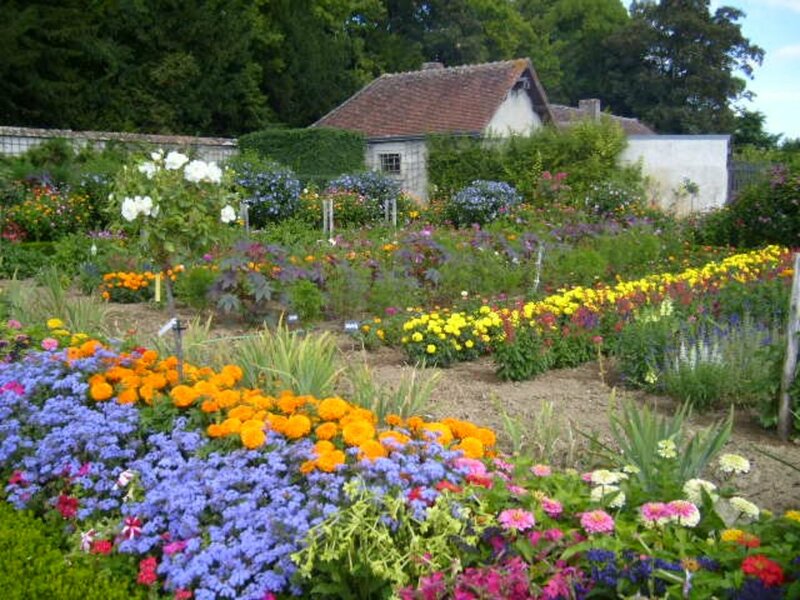 When most people think of gardens, they either envision a collection of edible plants or array of flowers. There’s no reason why you can’t combine those two ideas with flowers you can eat. It’s best to grow the blossoms you’d like to try yourself, or get them from a place that only uses organic growing methods. Although the blossoms you get from your local florist are beautiful, they have probably been chemically treated in some way, and therefore unsafe to eat. It’s also a good idea to avoid eating flowers picked from the roadside. Since they’re so close to toxins released by cars and unknown chemicals, they could also be dangerous when taken internally. If you’re allergic to certain blossoms, it’s best not to try them. Many asthmatics and people with seasonal allergies would do well to err on the side of caution. Even if you have no allergies, it’s best to eat blossoms in moderation. Finally, be completely sure you know what the flower is before you nibble. 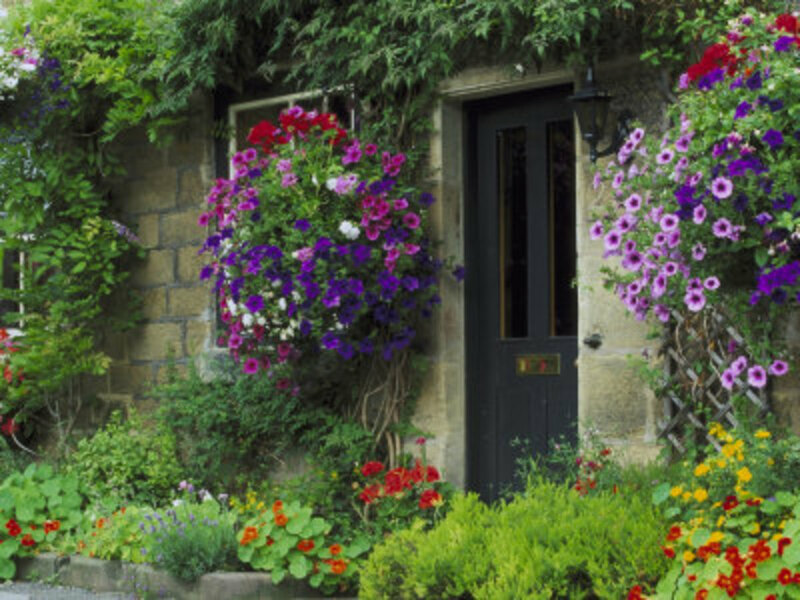 There are many poisonous plants out there, and harmful flowers can look a great deal like their nontoxic counterparts. Also, take care to know which parts of the flowers are safe to eat beforehand. If you happen to have a small plot of land available, here are a few good edible flowers to start with. These colorful little flowers have a peppery taste, and come in a huge variety of hues. Their leaves look a bit like lily pads, and they’re very easy to grow. In fact, several years ago, I grew them in a container in my back yard. They lasted throughout the summer with minimal care. You can use their flowers and leaves to add an extra bit of peppery color to salad, stir fries, and pasta. You can even stuff the flowers and serve them as garnishes. 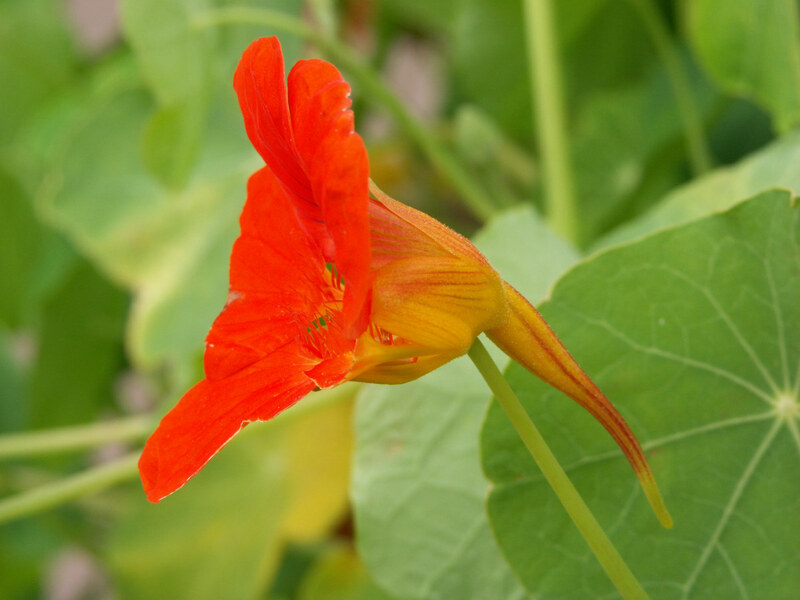 Nasturtium are extremely hardy. They grow throughout USDA growth zones 8 to 11, and will flower when planted 6” to 12” inches apart. They do best in sandy soil in full sun, and unless the dirt is very poor, they shouldn’t need fertilizing. I bought my plants from a local farmer’s market, but they are easily grown from seed. As soon as the last threat of frost has passed, sow your seeds and water regularly. If you do start them indoors, use a ready-to-plant pot, because they do suffer when transplanted. They also need darkness in order to germinate, so keep the planted seeds in a dark place for at least a night before setting them in the light. After they’re settled, they’ll tolerate droughts. However, shortly after planting, make sure to water them well on a regular basis. 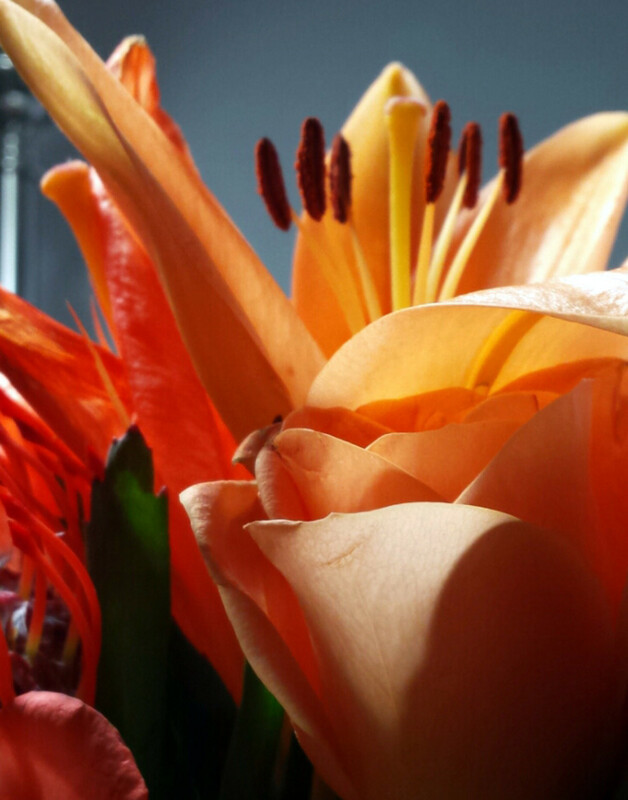 These common flowers come in quite a few colors, but one of the most common is orange. It’s important make sure the flower in question is a daylily as opposed to another type. Daylilies have a taste a little like asparagus and summer squash, depending on the part you use. The flowers, buds, tubers and young shoots are all edible, and go well in salads, with asparagus dishes or with cooked vegetables. These hearty plants will come back year after year, and blossom throughout the season. 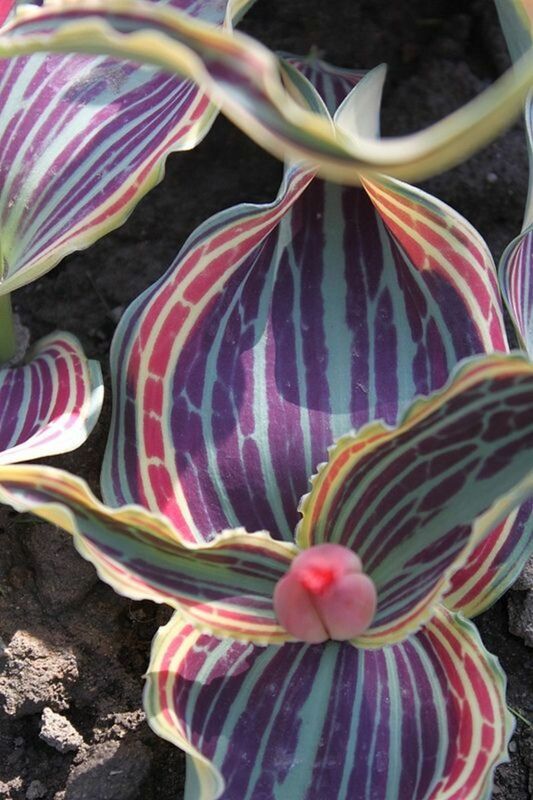 You’ll often see them in garden center pieces or as borders. While they prefer full sun, they will do well with light shade in warmer climates. 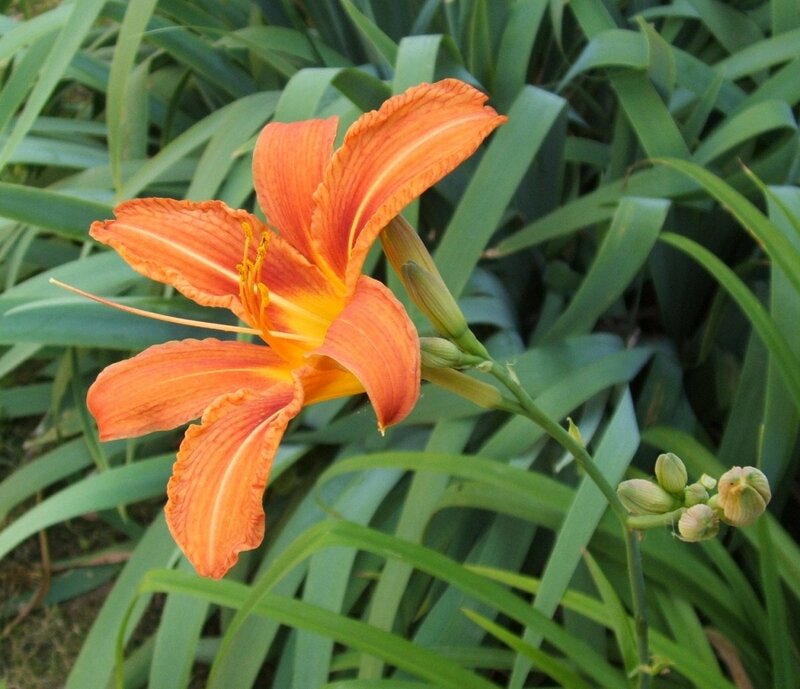 Daylilies thrive in slightly acidic, well drained soil treated with compost or other forms of organic matter. Avoid planting them too close to shrubs and trees to eliminate nutrient competition. It’s best to water them deeply, to about an inch or so, every week. However, they are drought tolerant to a point. Sandy soils will require more frequent watering. Older flowers should be removed regularly, which makes them an excellent choice for fresh summer time salads and indoor cut flowers. If allowed to go to seed, there will be fewer blossoms the following year. They should be divided every three to four years because they can be such prolific growers. This should be done in early spring or immediately after they finish flowering. If you’re looking for a slightly sweet, mild flavor to go with a wide range of colors, tulip petals are a good choice. You can use them as part of salad dressings, appetizers, wine, mousse, as garnishes or in seafood dishes. Provided you remove the skin and center, the bulbs are also edible. The Dutch had to resort to eating tulip bulbs during the food shortages of WWII. Bulbs don’t, however, taste very good, but are good for survival purposes. These lovely perennials enjoy full sun, and they come in a huge range of colors and shapes. The spacing, planting depths and specific growing requirements are dependant on the specific type of plant. 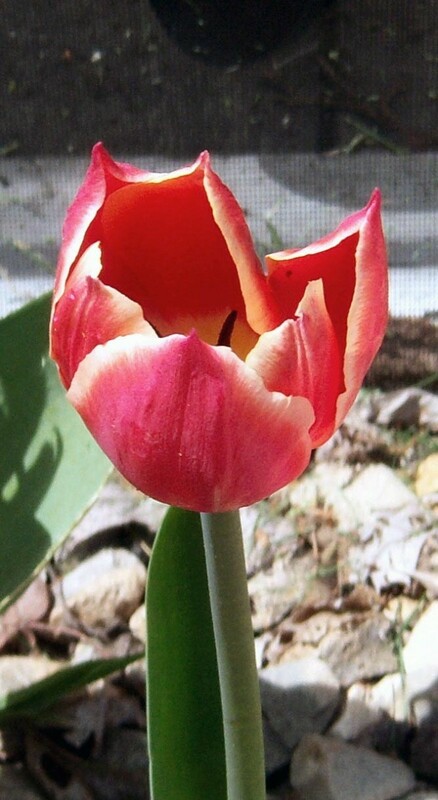 Most tulips, though, enjoy well drained soil mixed with compost. When preparing the soil to plant your tulips, loosen it to a depth between six and eight inches to encourage root growth. 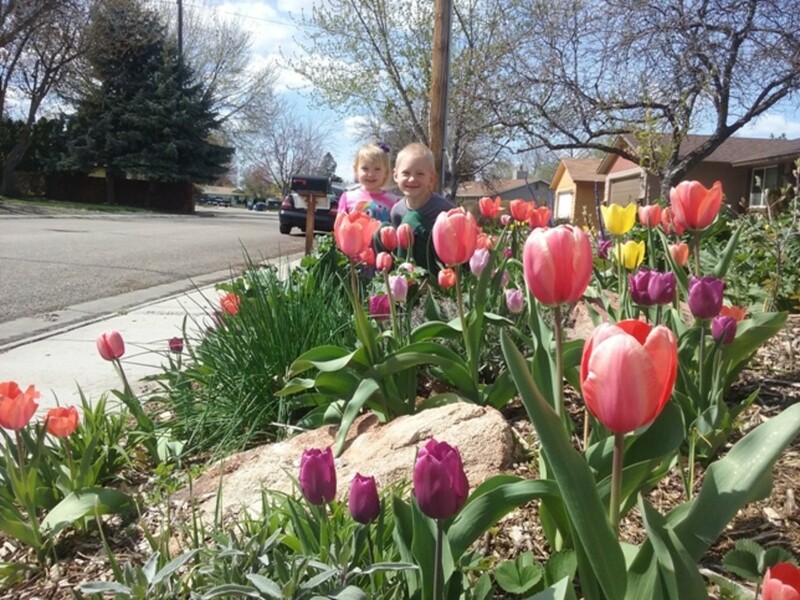 Tulips are often seen as a sign of spring, and are commonly used in bunches, or as border plants. Rosehips have a long history of being used in a medicinal capacity, because of their high vitamin C content. The petals can also be consumed, for a perfumed taste ranging from sweet to bitter depending on the type of rose it is. 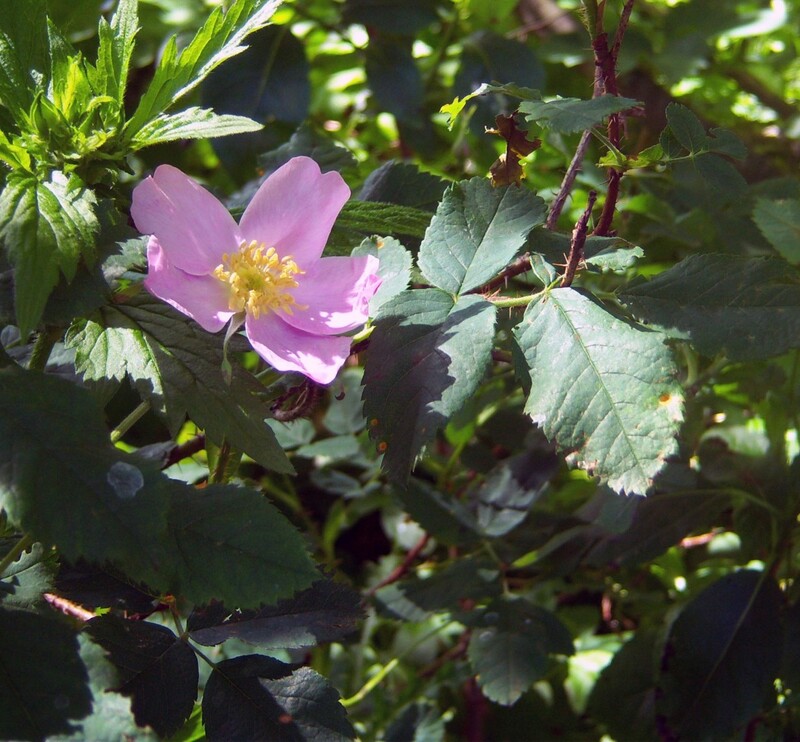 Sweetbriar rose leaves can be brewed into a tea. The petals are also often used in commercial teas, and offer a delightfully fresh note to many brews. Rose works well in jams, syrup, tea and salads. Since rose hips linger on the plant throughout the winter, they’re also a great survival food. For best growing results, it’s best to buy your rosebushes locally, since they’ll already be acclimated to the environment. 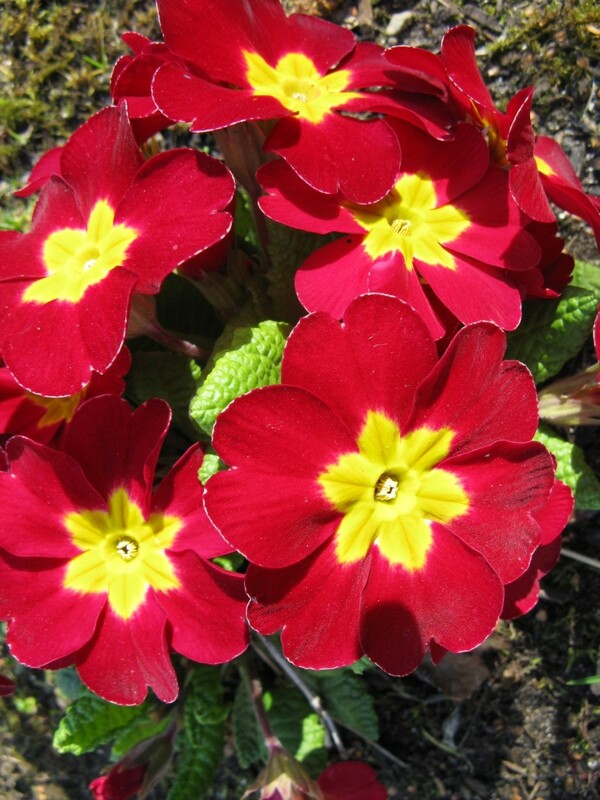 They require at least six hours of full sun, well drained soil and should be sheltered from strong wind. Although they need relatively little fertilizer, lots of water is a must. Many varieties of roses are very hearty, surviving temperatures as low as -10 degrees Fahrenheit. Wild roses in the Lake Superior region of Minnesota, however, regularly survive far colder winters, so this notoriously fussy plant can also be incredibly tough. I remember picking these from my grandmother’s garden as a child and snacking on them while playing in her yard. They have a wonderfully delicate onion flavor, and beautifully unique purple flowers. Both the leaves and the flowers can be eaten. 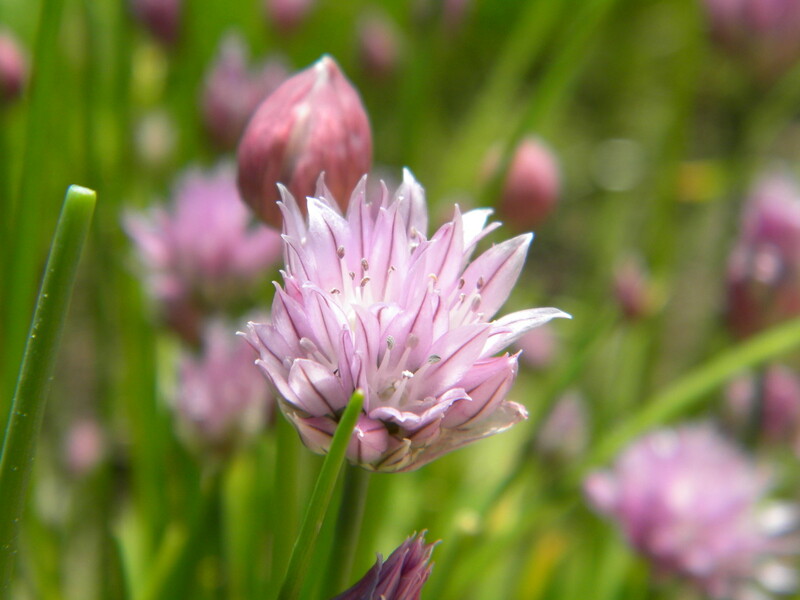 Since chives are commonly used in recipes and sold as dried spices, you can use them in anything that could benefit with the addition of delicate onion, like garnish, sauces, potatoes and soups. These plants are extremely easy to grow, and if you don’t harvest the flowers, they will self seed. 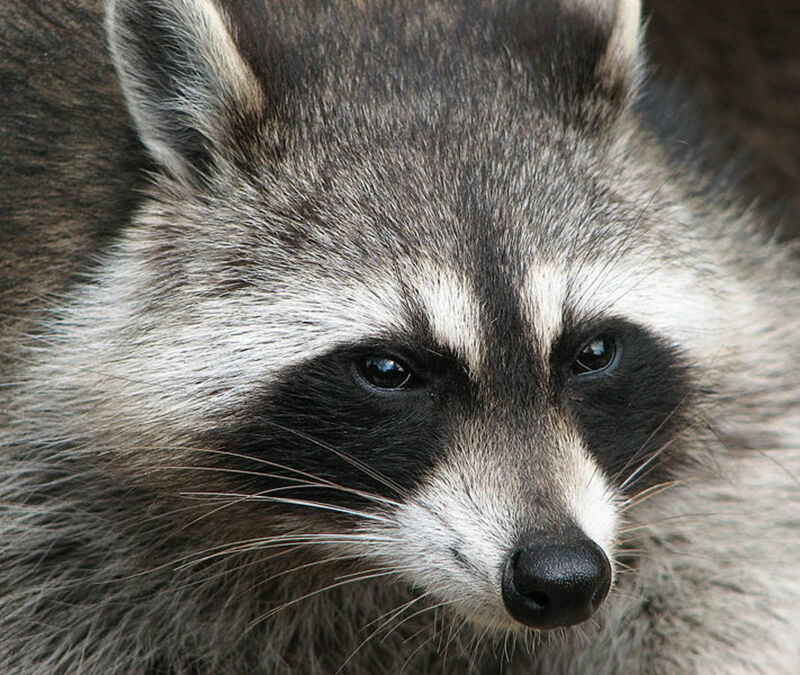 Since they return every year, they could easily take over a flower bed if you’re not careful. That said, they make for a very pretty edging plant. 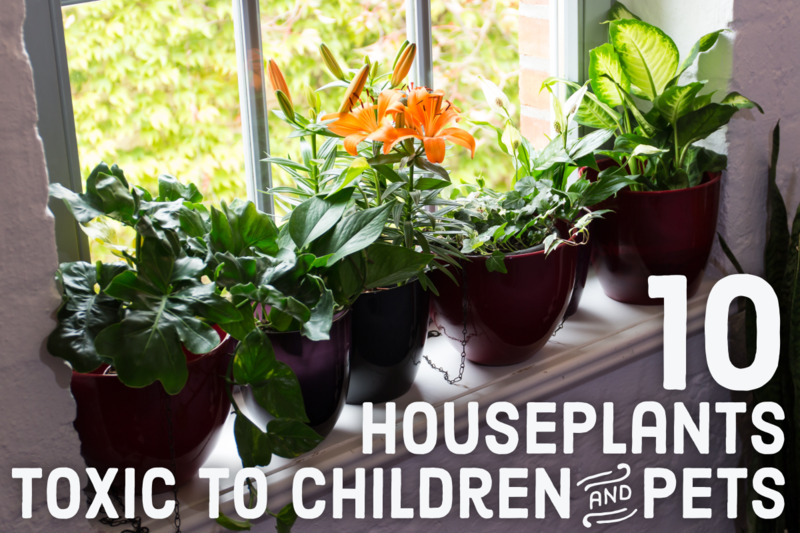 If starting from seed, start them indoors between four and six weeks before the last frost, and transplant them when they’re around two or three inches tall. Make sure to space them six to nine inches apart in well drained, fertile soil. They enjoy full sun, but allow the soil to go almost completely dry between each thorough watering. If you're interested in harvesting wild flowers, a guide like this one is very handy. This is one is a favorite in my book collection. There are a few things to keep in mind when harvesting your food. Since flowers can taste different at various times, it’s best to cut them just before they open or immediately afterwards, during the cooler times of day. Be careful not to crush them. Gently setting them in a basket often works best. If you won’t be preparing them for a meal right away, dry them thoroughly, carefully put them in a hard-sided container to prevent bruising, and store them in the refrigerator until you’re ready for them. Of course, gently clean dirt and bugs before preparing or storing them, and discard any blemished blossoms for best flavor and appearance. Get rid of stamens and styles (the middle parts of the flowers), before preparations and always double check which parts are edible and which aren’t. Most of all, make absolutely sure of which flower you’re harvesting. While many common garden blossoms are edibles, others, like blooding hearts, calla lilies and rhododendrons, are not. Adding flowers to your dishes will give them an unexpected, beautiful flair, and if used properly, will only enhance the flavor of many meals. I'm looking at them differently, too. :) I didn't know that until researching for this hub. Never ever did I think of eating the petals of day lilies! I will look at them with new eyes now! Very original article...I never knew that you could actually eat flowers and that they have real health benefits. :-) Voted up! This is very useful and interesting to know. I had heard that rose petals were edible, but was always afraid to eat them. You've convinced me that it is worth a try. By the way, congratulations on receiving the Hub of the Day award. A few flowers I have dined on but none of these. It they are as tasty as they are in the photos I know I will be in for a treat when I allow these to land on my palate. I love using rose petals in my cooking, both for the colour and delicate flavour. They're used quite a lot in turkish/middle eastern cooking. I've never tried tulips - shall now do so! I love the idea of eating flowers for lunch but I am not an adventurous eater. Voted up for being interesting. Congrats on your HOTD and well done. Love your pics and love the list. Also I had no idea Daylilies were edible. Hmmmm...I grow a lot of those. Hope you are well. I am not sure if my mom knew but my sister and I used to munch out on her Tiger Lilies when we were kids. I am sure my mom must have wondered why the flowers disappeared so quickly after they bloomed. I agree that this is an incredible list of edible flowers. I eat flowers and you have the very best ones listed, in my opinion. The deer certainly know that daylilies are edible, but it never occurred to me that we could eat them, too! Thanks for your very nice, informative Hub of the Day! Thanks to everyone who commented! :) I'm so glad this article was helpful! Fascinating hub with so much information about edible flowers . Now I know what's edible or not . Congrats on HOTD ! I love flowers of all kinds, but I have never eaten any part of them. This is a very interesting topic, and I will consider eating some of your suggestions. Congrats on HOTD. Voted Up. Congratulations on your Hub of the Day award for this well done post about edible flowers. Glad to see the encouragement on carefulness about where they are grown. I want to design a raised garden bed for herbs and edible flowers so I can be sure they are never grown in anything but clean soil. It is often dangerous to eat plants grown around the foundation of a house as old lead paints, termite/pest treatments, old asbestos shingles/siding, new construction soils brought in by builders from unknown sources can all makes edibles inedible. Nice hub with interesting information. You are right most of the flowers are edible. Rose is very common among edible flowers. Congratulations on the HOTD! I only know about roses and lavender as edible. Thanks for the heads up. Thank you! Flower salads are pretty romantic. I'm hoping to grow some of these flowers this year, and might try candying some of them. Interesting hub on what flowers you can eat. I've heard of geraniums in salads from reading a fiction novel. Real interesting. Voted up! So glad you liked the hub! This is a great hub. Edible flowers can elevate a simple green salad to a stunning work of art. I find it humorous, however that with the exception of the chives, all of the flowers that you list as edible, the deer who frequent my garden also enjoy.